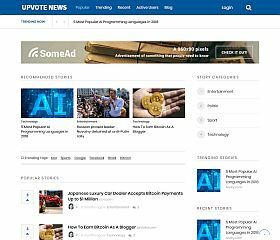 UpVote is a theme that replicates many of the features and functionality that you might find on HackerNews, Reddit, or ProductHunt – it gives you a great-looking design that incorporates social voting and user-generated content. Chipmunk is a theme that allows you to easily create your own collection(s) of content – built with a design intended to curate content (in the style of the “stash”-type websites that have been popular on ProductHunt). 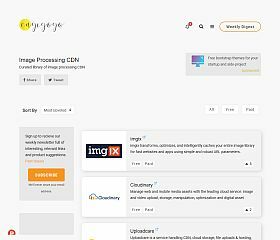 Engigogo is a theme that allows you to create a curated, resource, or stash-style website somewhat similar to Product Hunt or Reddit. Easily categorize tools/resources (or whatever you want) and display them in a list-style format with voting open to your visitors. 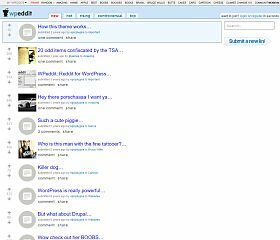 In design terms (and some functionality) WPEddit is a replica of the old style and design of Reddit.com. 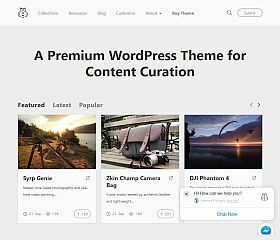 It is a full-featured WordPress theme that gives you the look, features, and functionality of Reddit. Styled after the popular GrowthHackers.com community website design, this theme gives you the looks, features, and functionality of the popular site – with a clean and modern design, registration, submission, and voting ability, you can set up your very own online community. Plugin hunt incorporates modal features, the ability for users to register, submit, and vote as well as user dashboards and the ability to follow users – it’s a very robust and feature-rich theme that will give you your very own ProductHunt-style website. 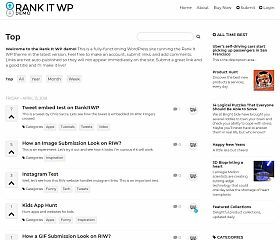 Rank It WP is a WordPress theme built for curating content that can then be voted on (similar to Reddit, ProductHunt, or HackerNews). Front-end registration and submission, sort content by date or votes, the ability to categorize and tag, and more. To be honest, I’m a little surprised by the lack of social voting and curation WordPress themes out there. 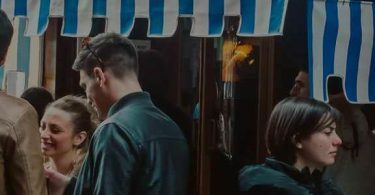 Several of these style of themes seem to be buggy, unsupported, or abandoned – which I find surprising as my gut tells me that there’s quite a demand for these style of sites. 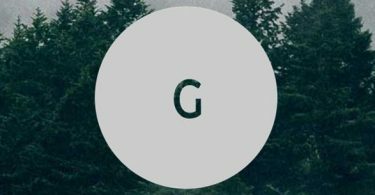 Nevertheless, this roundup should hopefully help you find a theme that could work for your next project.